So, I’ve been drinking from the fire hose for about the last week and half. My usual work day is 9:00 – lunchtime which is usually 12:00 (or 1:00) or so. In the afternoons I generally will work on blog posts, or read/respond to emails, or go out to forums to see what is going on in the world of publishing and writing. But for the last week and a half I’ve been working from 7:00 am – 1:00 am (or sometimes 2:00 am) with only very short breaks for lunch and once again at dinner. In fact, there have been times when I actually can’t see the monitor because my eyes are so burned out. But it’s all good. I’m deep in the throngs of creating my “next bit series” and it is exciting to be back to building worlds, creating maps, languages, clans and factions, and developing characters. I currently have a rough sketch on 12,000 years of history, developed many words ad how they derive from various cultures, and have plotted out all three books. A nice piece of work for a little over a week. What I’m hoping is to record my progress through this series and post here. Hopefully it will help others with their writing and those who enjoy my stories will get a bit of a behind the scenes peek at how this all goes. I’ll try to post at least a quick update every day. I hope you enjoy the journey with me. Hello I’m a beginner Author (hopefully) and I was wanting to name the series I’m writing something very similar to one of your other series and I was wondering if that was fine with you, I didn’t want to name my series without asking just to be sure. Authors don’t have any “rights claim” over the names of books or series. For instance my book Wintertide is a title also used by Debra Doxer and Linnea Sinclair, so you are legally free to name your book anything you want. That being said, it’s not a good practice to name a book in such a way that it might be confused with another’s (especially one still being wildly sold). When you said you wanted to name it something to one of my other series do you mean “Riyria” – because that is an invited name that pretty much is associated with me and my books. 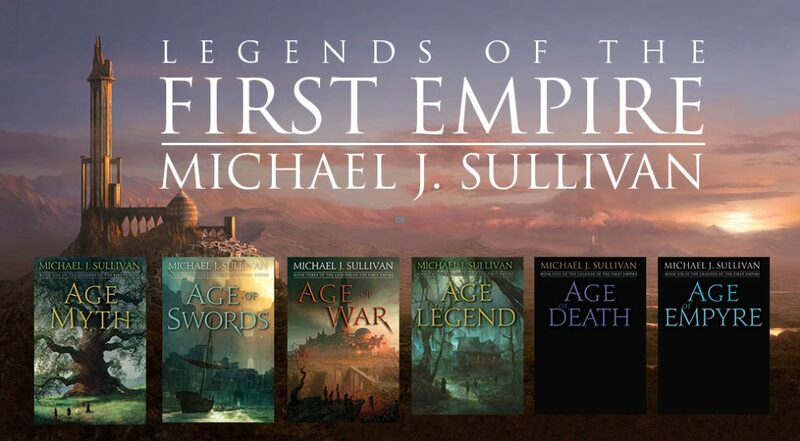 While I can’t stop you from doing so, you probably should mention in the book’s description and maybe even a little disclaimer in the book saying that your book is in no ways related to “Riyria” by Michael J. Sullivan. Failure to do so will probably get you some negative reviews by Riyria fans who feel you are trying to get sales by a mis-representation. Without knowing exactly what you want to name your series, it’s hard to say for sure – what were you planning on using?